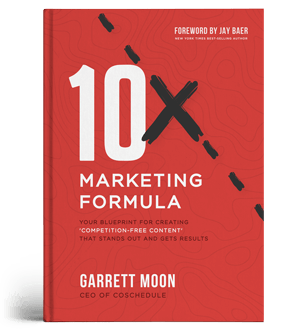 For several quarters, your organization has been excelling at almost every metric and you’ve been generating tons of leads. The only problem is that you haven’t been seeing the kind of revenue that even comes close to the number of leads you’ve generated. While there could be a number of reasons behind this, it typically stems from improper lead nurturing or the lack of it. It’s not enough to just generate leads because those leads do not automatically translate to revenue. For that, you need them to convert. And to convert them, you need to nurture them so that they follow the conversion path in your sales funnel and eventually result in a sale. That’s where a lot of organizations get stuck and what this post addresses. Before learning how to troubleshoot your lead nurturing activities, check out these templates. A 2019 content calendar to get your year planned out. What is Lead Nurturing and Why is it Necessary? Lead nurturing refers to the process of building and nurturing your relationships with potential customers throughout the buyer’s journey. The goal is to guide them through different stages of your sales funnel and eventually get them to convert. Which means you need to provide them with relevant assistance, information, content, and offers depending on where they are in the funnel. This is important because 80% of new leads will never result in a sale. But nurtured leads are 50% more sales-ready. In other words, nurturing your leads will improve your chances of converting them. And an increase in conversions can increase your revenue. It’s easy to nurture your leads, in theory. But in practice, a lot of organizations struggle with their lead nurturing efforts. In fact, 86% of B2B marketers in a DemandGen survey rated their lead nurturing initiatives as only average or below. 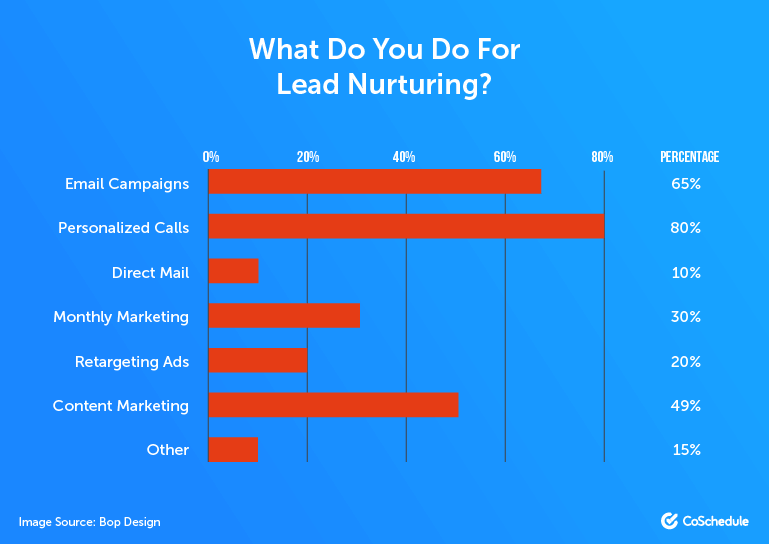 This isn’t too shocking considering how 80% of respondents have found it challenging to generate responses with their lead nurturing programs. It’s important to note that these aren’t just startup business owners or marketers who are struggling. Clearly, lead nurturing isn’t something that you can easily master, even if you’ve run a business for years. There’s always room to keep learning because the B2B landscape keeps evolving with new technology. There are also frequent changes in buyer behaviors and preferences. So you need to brush up your knowledge every now and then to learn some of the best ways to nurture leads and increase conversions. Beginners, on the other hand, will have to learn from scratch. There are tons of ways to nurture leads, but you can’t attempt all of them in one go or you’ll get overwhelmed and end up failing. 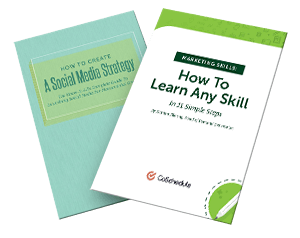 You need to start slowly – from the basics and the most effective tactics. A misalignment between your sales and marketing teams could be the main reason you’re falling behind in your lead nurturing efforts. When there’s collaboration between the people who generate leads and the people who convert those leads, your organization can effectively guide potential buyers through the funnel. This will eventually result in better sales and customer loyalty. In fact, 58% of respondents to a LinkedIn survey felt that sales and marketing alignment improves customer retention. 54% of the respondents also felt that sales and marketing alignment boosts the financial performance of their organization. Yet 38% of respondents in a Conversica study did not follow up on their inbound leads. Even among the companies who did follow up, 63% gave up after only 1-2 attempts. This shows that even when marketing has done their part to generate leads, there could be a lack of or insufficient follow-up attempts from the sales team. Develop a unified set of goals that you can measure. A misalignment in team goals could result in overall misalignment between the two teams. Define specific goals that both teams should work towards such as attainment of a revenue goal, a percentage increase in revenue, a certain number of conversions, etc. Come up with a formal process of qualifying leads and determining when to pass them on to the sales team. A proper lead scoring system will help you with this process. You will learn more about this in the next step to nurture your leads for sales. Coordinate content marketing campaigns with your sales team. Consider their suggestions in your content brainstorming sessions. And make sure you communicate with them about any deals and offers you have in place. This communication should include talking points about the offer, leads generated from the offer, and other essential information. The marketing team needs to consult with the sales team about what kind of buyer information will be most helpful to them. Knowing the exact kind of buyer data to collect will help your marketing team smoothly transition more qualified leads through the funnel. As mentioned briefly in the previous point, you need to learn how to score your leads so you know when to transition them to different teams. 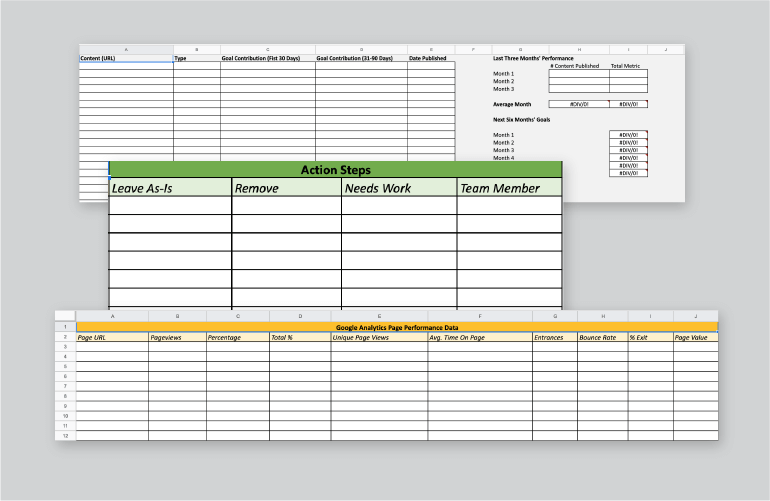 Lead scoring is a process of ranking your leads based on how likely they are to convert. But more importantly, it helps your sales and marketing teams to align their definition of a hot lead and helps them coordinate more effortlessly. Since lead scoring assigns a numerical value to the quality of each lead, it becomes easier for each team to identify when and how to approach each buyer. This makes lead scoring an essential element in the lead nurturing processes of most organizations. In fact, an Eloqua study of 10 B2B organizations found that lead scoring systems increased deal close rates by 30%. The companies also saw a revenue increase of 18% and a revenue-per-deal increase of 17%. 10 #B2B organizations found that #leadscoring systems increased deal close rates by 30%. That being said, a DemandGen study found that only 32% of marketers are effectively using lead scoring in their marketing automation systems. You can choose from several lead scoring models based on demographic information, online behavior, company information, and more. But to simplify things, start by focusing on four main criteria – fit, interest, behavior, and buying stage. Otherwise, it could be difficult to determine which values are defining the score. Under lead fit, you will consider how well a prospect fits the characteristics of your ideal buyer persona. You could look at factors like demographics, company size, role, industry, etc. depending on what’s important to you. Under lead interest, you will consider how attractive your brand looks to the prospect. You could look at factors like pain points and needs to determine this. Under behavior, you will consider how a prospect is interacting with your business and your content. Did they click on any offers? If so, which ones? Which offers did they download and how many? All of these factors will help you score leads more accurately. Buying stage, as the name suggests, refers to which stage the prospect is within your sales funnel. Next, you will need to assign a numerical value to each of these metrics. The criterion value will differ based on what is most important and relevant to your needs. For instance, if their job role makes a lead more likely to need your solution and therefore convert, you could give more weighting to the job role criterion. 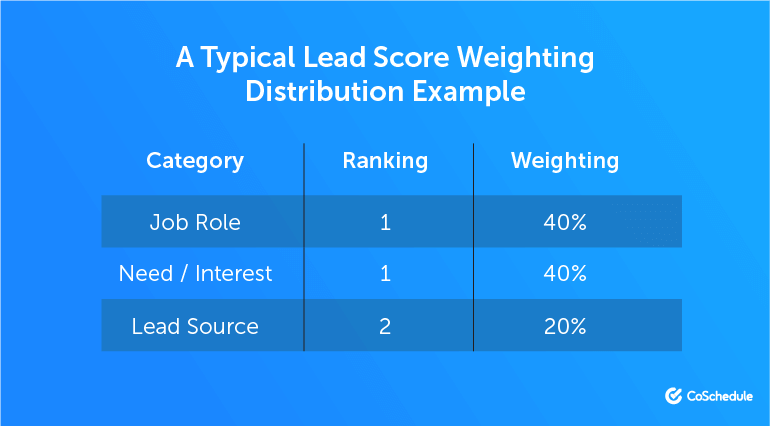 Start by creating a weighting distribution table for the categories like lead fit, interest, and buying stage. The engagement metric, i.e. behavior, will have a different rating system, which you will combine later on. Of course, this is just an example and you’ll need to further break down the data categories for more accuracy. For instance, you may want to give a higher score to someone who holds the role of a Vice President than someone who’s a Director. And you can add more categories as you need. Create an alphabetic rating system based on profile fit percentage. So any lead that scores above 75% would have an A rating. You could assign a B rating to scores between 50% and 75%. And assign a C rating to scores between 25% and 50%. Anything below 25% could have a D rating. Next, come up with a rating system for engagement metrics taking into consideration various buyer behaviors. It will typically range from 1-4, with 1 being the highest and 4 being the lowest. You could define the number and types of actions that will result in each rating. For example, just visiting a website or viewing one offer could carry a 4 rating. Viewing an offer more than twice could carry a 3 rating. Viewing multiple offers and downloading one could carry a 2 rating. Downloading more than two offers could carry a 1 rating. Combine the two rating systems into an alphanumeric system. This would mean that a lead with an A1 rating is the most qualified. And a lead with a D4 rating is the least qualified. After this, determine the minimum score that you would want leads to attain before you can pass them on to sales. You will naturally want genuinely hot leads so that they’re easier to convert. And qualifying leads before they’re ready could result in losing a potential sale. So there’s no harm in passing only leads with a rating above A2 or B1. 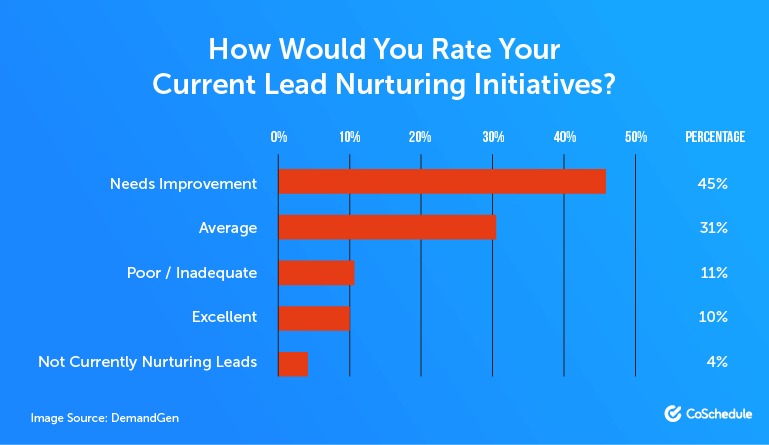 For the rest of the leads, you could define the lead nurturing actions that need to be taken based on each rating. Perhaps some leads with a lower rating still need a few blog posts about the basics of your solution. Others may only need to read case studies and view testimonial videos to move them further up in your rating chart. Email provides you with an effective channel to reach out to your leads and nurture them. 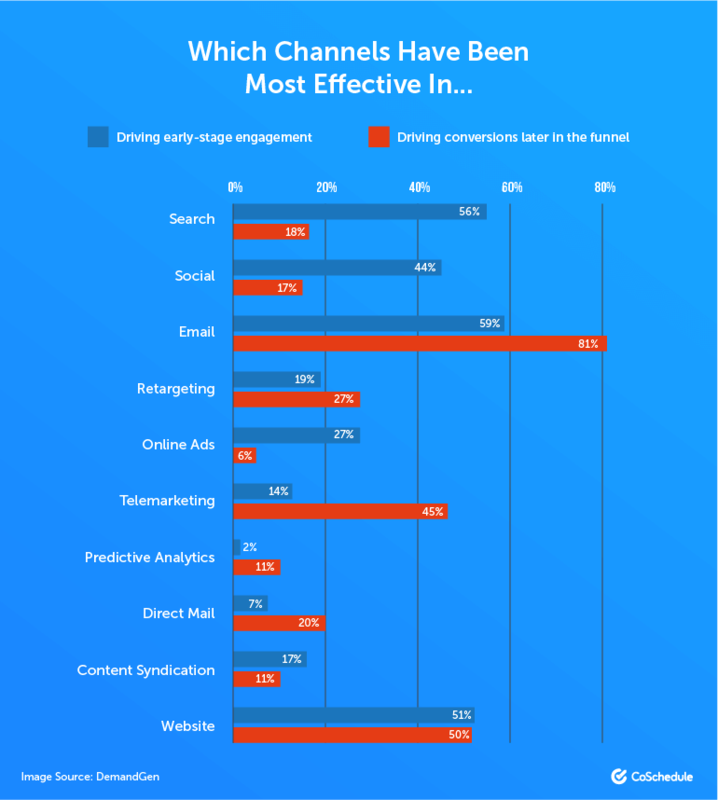 In fact, a DemandGen survey found that email is the most effective channel for both driving early-stage engagement and driving conversions later in the funnel. However, emails on their own aren’t the ultimate solution to nurturing your leads. If they’re not relevant to the recipient, you’re just going to end up annoying them. This means they could even leave the funnel and never convert. That’s why you need to start personalizing your lead nurture emails and make them more relevant to each recipient. This could work because according to a Segment study, 44% of consumers would likely become repeat buyers if they get a personalized experience. And 56% of marketers in an Evergage study felt that personalization has a strong impact on advancing their relationships with customers. In addition, 80% of respondents to a Bop Design survey used personalization in their lead nurturing efforts. This makes it the most widely-used tactic for nurturing leads, while email campaigns on their own stand in second place. Personalizing your lead nurture emails goes beyond just adding a first name in the subject line or greeting. And you will need to invest in a good email personalization tool to properly execute email personalization for lead nurturing. Personalize your newsletters based on factors like industry, job role, department, company size, etc. You could also consider their behavior and the kind of content they’ve consumed in the past. This can be a very effective way to nurture your leads because 25% of consumers in the Segment study like to get a personalized newsletter from brands. Send them an update about events, offers, and products based on their industry and job role as well as behavioral history. For instance, if they have read several blog posts about email personalization you could send them an email updating them about your upcoming webinar on the topic. If you’re following up on leads that have downloaded your offers, don’t forget to mention the name of the offer. This keeps the communication more personalized and relevant to the recipient. Ensure that your leads don’t miss out on great deals and events by personalizing your time-sensitive emails with countdown timers. These timers will work in real-time to provide recipients with an update of how much time they have left to take an action. If they have abandoned a purchase, try to find out why and follow up accordingly. For instance, perhaps they left after viewing your pricing page. In this case, you could follow up with an email offering a free trial. Or if they tried to sign up for your free trial but left after seeing that they have to enter their card info, follow up with a link that will let them sign up without providing their card info. When you abandon your free trial signup with Ninja Outreach, you get follow-up emails reminding you about it. If they can’t determine the reason for your abandonment, you get an email highlighting the benefits of the free trial to reestablish its value. Content is vital for educating and engaging leads and is therefore essential for nurturing them. For instance, your blog posts can inform them about why they need your product because of all the ways it can benefit them. This can push them further along the funnel. In fact, content marketing was the third most popular lead nurturing strategy in the Bop Design study. 49% of respondents said that they use content marketing to nurture their leads. Create content around your target audience’s pain points rather than blatantly promoting your product or service and its features. For instance, let’s say you’re promoting a live chat platform. Instead of creating a blog post about the features of the platform, you could create one on how businesses can improve their customer service. Create content for buyers at different stages of the purchase journey. For instance, you could create whitepapers and blog posts addressing pain points for those at the beginning stages. You could also have case studies and testimonials establishing your value for those towards the later stages. Having different types of content to suit different buyers will help you deliver more relevant and targeted content for each lead. Develop educational content to establish your brand’s value and your expertise, rather than pushing your products to people. This will slowly generate interest in the product and nurture your leads for sales. You could create how-to videos, online courses, webinars, whitepapers, and more. Email may be the most effective channel to nurture leads, especially when coupled with personalization. But that does not mean it’s the only channel you should focus on. For truly effective lead nurturing, you need to extend your efforts across all channels where prospects come in contact with your business. Social Media – There’s no need to convince you that social media is an excellent channel to build relationships with customers. It’s also vital for nurturing your leads. Monitor your social media and respond to all social inquiries. Additionally, monitor social brand mentions and topic mentions so you know which leads to reach out to and how. You could also host social media contests where the winner gets valuable prizes such as free access to your courses or a free session. Social media also provides you with an easy channel to conduct surveys so you can learn more about your audience to understand what they need or want. Besides this, you could re-engage your leads with targeted paid ads relevant to their behavior and demographics. Website – Your website is one of the best channels for nurturing your leads. You could display dynamic website content relevant to their profile data and/or their previous interactions with your business. One of the easiest ways to implement dynamic website personalization is by providing content suggestions and product recommendations based on their behavioral data. For instance, you could suggest certain case studies that are most relevant to the visitor’s industry and job role. Or perhaps you could recommend a certain software suite based on the pages they have visited in the past. Some businesses also personalize their CTAs and offer depending on the visitor’s behavior and where they are at the sales funnel. For instance, they might suggest signing up for a newsletter during your first visit. But in your next visit after signing up for their newsletter, you might see a CTA asking you to watch their free webinar. Mendix used this tactic and displayed content to visitors personalized according to their industry. This helped them increase their lead generation and content downloads by 10%. Paid Retargeting – Although social media is perfect for executing your retargeting campaigns, you can go beyond that to effectively nurture your leads. You could launch a PPC campaign to retarget prospects through search results and the websites they frequent. This will give them a gentle reminder about your brand and its product offerings even when they’re not actively searching for you. And since they’re already somewhat familiar with your brand, they might be more complacent to re-engage. You could retarget them with ads relevant to the content or pages they’ve viewed before. While understanding the essential steps to nurture your leads is essential, it can be challenging to execute all of them. Especially when you have limited time and resources. To simplify the process, you can resort to tools that will aid you in executing some of these steps. Salesmate – Invest in a CRM that makes it easier for your sales and marketing teams to keep track of their activities and coordinate their efforts. Platforms like Salesmate would be a great option because it monitors your sales pipeline and gives your team visual triggers to coordinate their activities. Using this platform, the marketing team can upload fresh and hot leads under “Opportunity” along with all of the necessary buyer data they’ve collected. The sales team will then be able to update their lead nurture progress with each lead as they follow up on them. Thinkific – Educational content can help you nurture your leads, but certain types of content may be difficult to create. Online courses may be particularly challenging. So you can use online course platforms such as Thinkific to develop them. This platform is very easy to use with a simple drag-and-drop feature. It also lets you include a wide variety of multimedia course content such as video, quizzes, discussions, downloads, surveys, and more. Zigihub – The lead scoring process may be critical to nurture leads, but it’s also a lengthy and complicated process. Platforms like Zigihub simplify it for you with pre-defined criteria and pre-defined weights, which you can apply to score each of your leads. Brandwatch – Monitor online conversations and identify lead nurturing opportunities with Brandwatch. 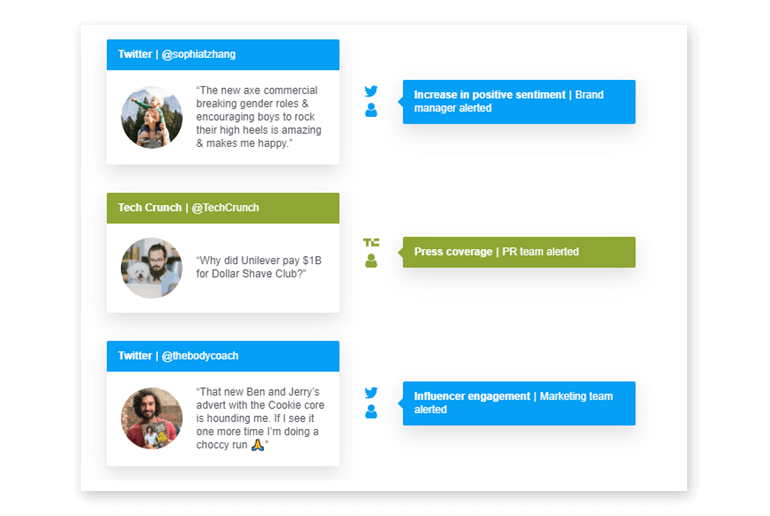 Using this tool, you can keep track of social media mentions, blog mentions, and more to find people who might be talking about you. They may also be engaged in conversations related to the products or services you sell. And you can reach out to them with the most relevant response at the right time. FeedOtter - Make sure that your leads have timely access to your latest updates and freshest content so they don’t forget about you. You can do this by automating your newsletters and notification emails through FeedOtter. FeedOtter is a tool that lets you create visually-appealing emails and automate them for timely delivery, which makes it perfect for your lead nurturing efforts. You can even curate a personalized newsletter for your leads to ensure high relevance and engagement. These are some of the essential steps you need to take to nurture your leads for sales, along with some useful tools that can help you execute them. Lead nurturing is a lengthy and ongoing process that you can improve based on your needs and observations. But it’s easy to get overwhelmed because there’s so much involved in the process. Use the steps above to get started. Then update and adapt your efforts as needed.